Water temperature in the South Slough estuary. 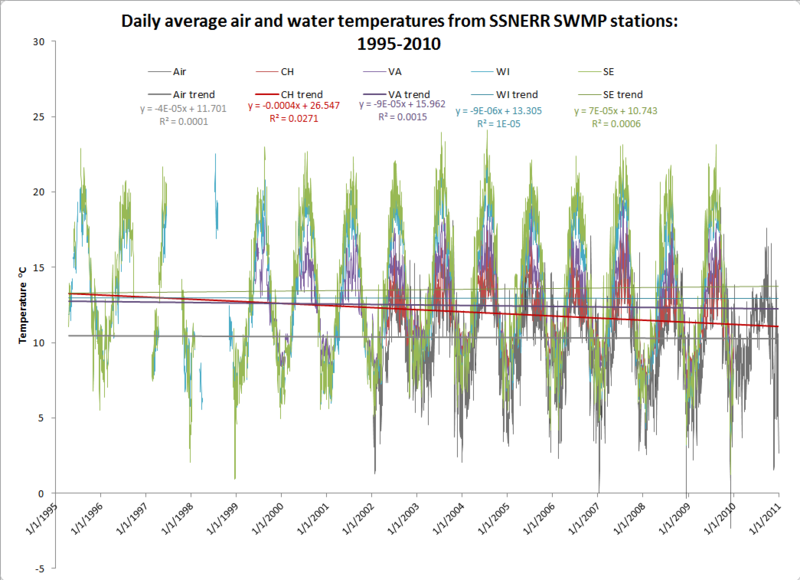 For the past 15 years water temperatures in the South Slough estuary have been declining slightly near the mouth of the estuary and staying about the same in the upper parts of the estuary. Water temperature regulates biological processes in ocean and estuarine waters. For example, excessively warm waters can cause dissolved oxygen levels to drop, adversely affecting marine and estuarine organisms. 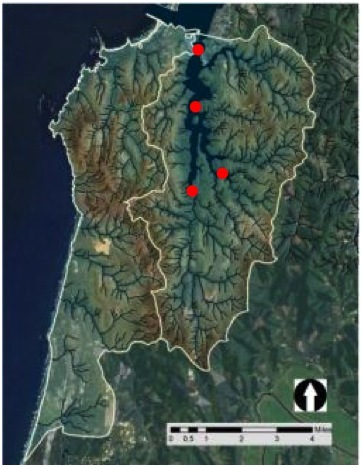 Red dots = System-Wide Monitoring Program (SWMP) stations.